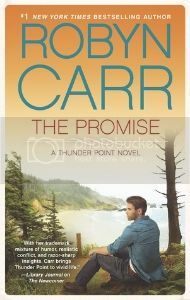 #1 New York Times bestselling author Robyn Carr returns to Thunder Point with an uplifting story about overcoming loss and finding unexpected love. 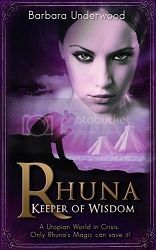 The romance in this novel is intricate and breathtaking, yet still tasteful. Carr leaves so much to the imagination while painting a vivid picture for you. You can easily picture the beauty of the coast. Although Carr definitely tells a riveting story that you won’t be able to forget, there is also a calming quality about it. You’re immersed in the slower, friendlier pace of life in Thunder Point. It was very refreshing. Carr approaches this novel in a very unique way. If you’re returning to the series, you feel like you’re being welcomed back. Everyone is as warm and inviting as they were on your last visit. Those who are just beginning to read it with this novel feel like the newcomer to a small town. You get introduced to the town and everyone in it in a very low-key manner, allowing you to absorb this coastal town. I found it impossible not to imagine myself in the main character’s place. I couldn’t even fathom how I would handle it. I had to give her cudos for not only walking away, but for coming back strong afterwards. The male lead is completely flawed but absolutely perfect. He’s so genuine that you can’t help but fall for him. I also enjoyed how feeling came into play for these characters. Their relationship wasn’t all lust & whirlwinds. You really found out their hopes, dreams, and fears. They approached things with their heads & their hearts. It made for a very balanced story. I always find myself intrigued with Carr’s character names. They’re never mainstream, making you really stop to look at the character. At the same time, they aren’t so unique that you have a hard time remembering (or worse yet, pronouncing) them. As a whole this was an absolutely breathtaking novel that I wouldn’t hesitate to recommend to anyone, whether you’ve read Robyn Carr’s work before or not. In fact, I urge you to go buy a copy today. This is definitely one that I’ll be rereading multiple times.